Mother’s Day only comes once a year, but that doesn’t mean it’s the only day to celebrate the woman, or women, who raised you! Spoiling the moms in your life is a simple task. All you need to do is go out of your way to make them feel special and appreciated. Make time to get together to do the things she enjoys the most. It might not even matter what you do, as long as you’re spending quality time together. But a thoughtful gift might also do the trick. Flowers are always a great option, but what about a gift that’ll last for years to come. 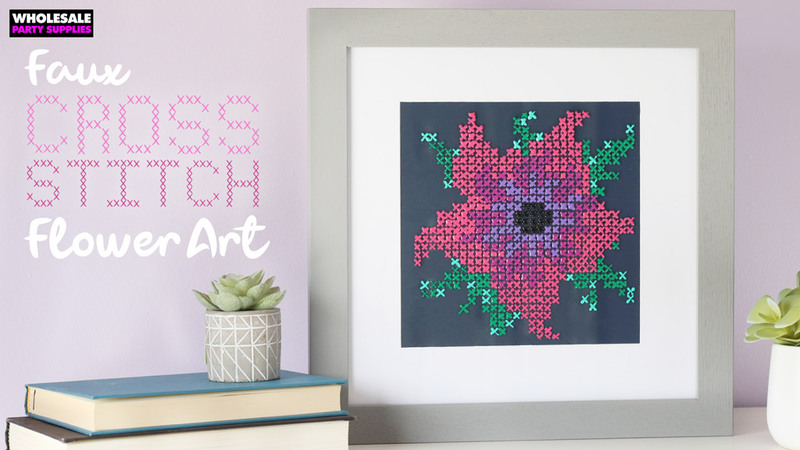 A floral, cross stitch is a great gift because it doubles as a decoration. Your mom can display your gift long after Mother’s Day is over. While we’d all love to sit back and cross-stitch a special piece for the ones we love, it might be hard to find the time. That’s why we’re so excited to show you this hack! 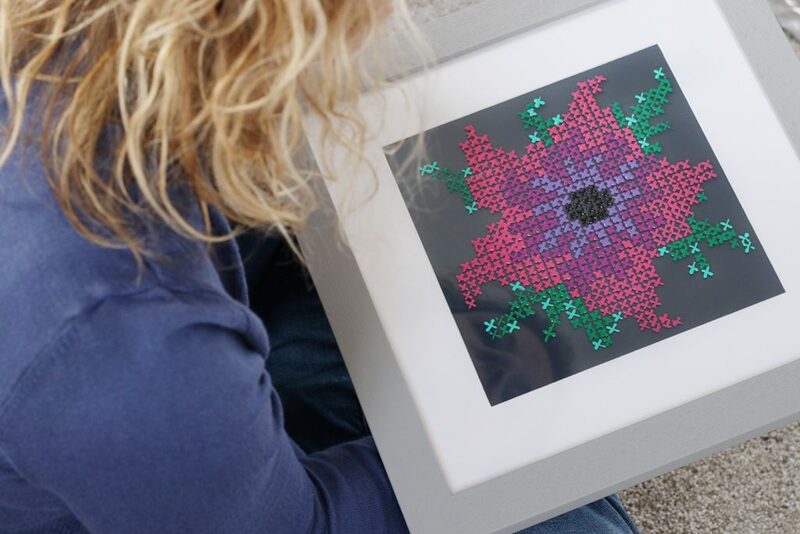 You’ll achieve the look of a cross stitch without having to do a single stitch- make beautiful wall art for dear old mom without getting pricked by a needle. 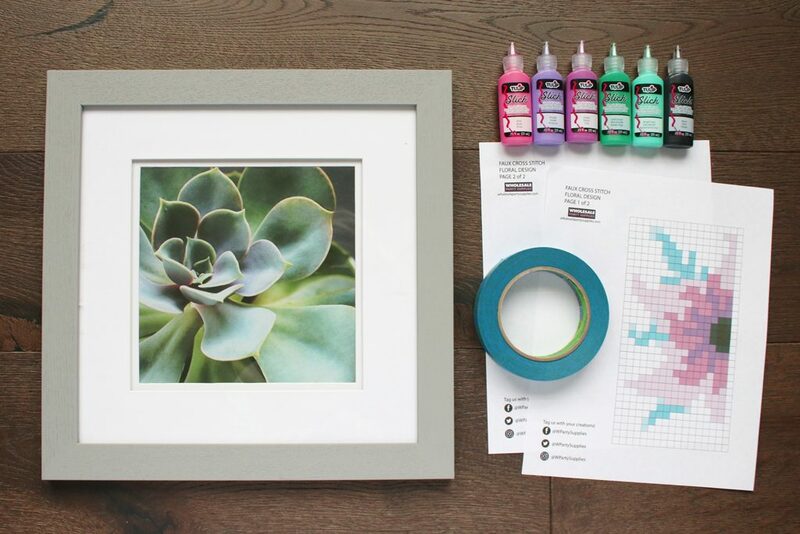 Follow along with the steps below to recreate your very own faux cross stitch decoration to gift your mom this Mother’s Day. 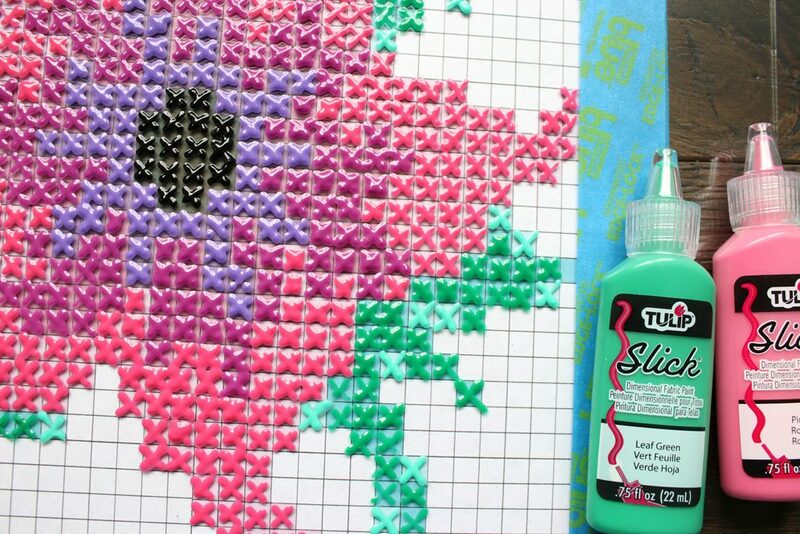 This crafty DIY was created by Tara at Spot of Tea Designs. Head over to her website to see more of her great ideas! 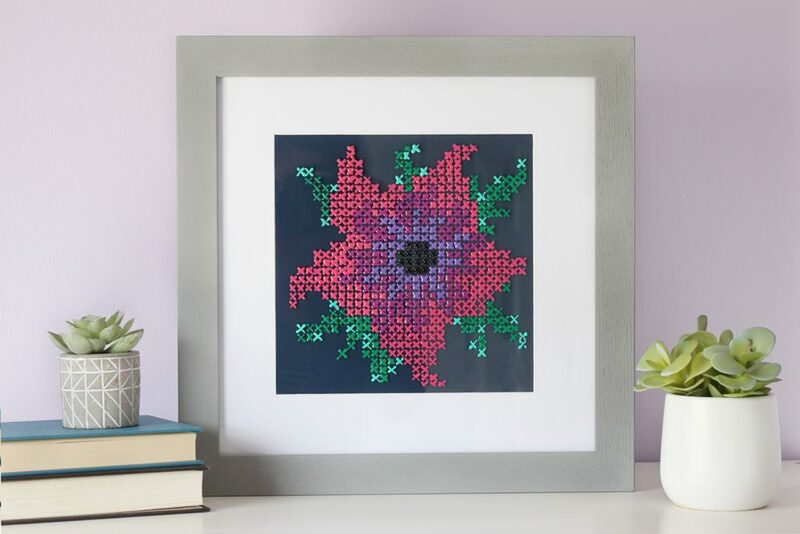 Grab our free printable pattern, some bottles of puffy paint and have a go at a modern spin of this timeless craft to make a beautiful faux cross stitch floral frame. Our template uses 6 colors. We used 3 pink/purple tones, 2 green tones and black for the center. Feel free to use your own color choice. Since the frame we’re using has a smaller opening that’s matted, we first used painter’s tape on the top of the frame to designate the area where we’d want our faux cross stitch design once it was complete. 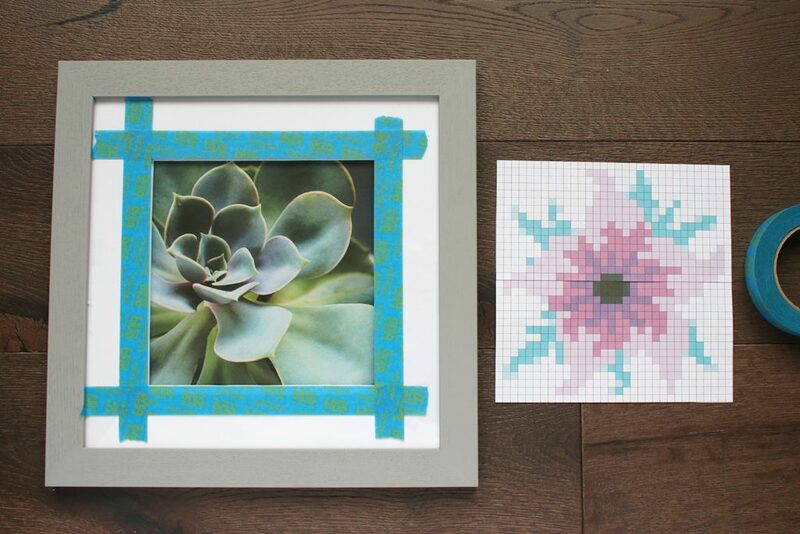 Our cross stitch pattern is broken into two sheets and will need to be pieced together to make it the complete 8×8 square. Next, open the frame to remove the glass front. 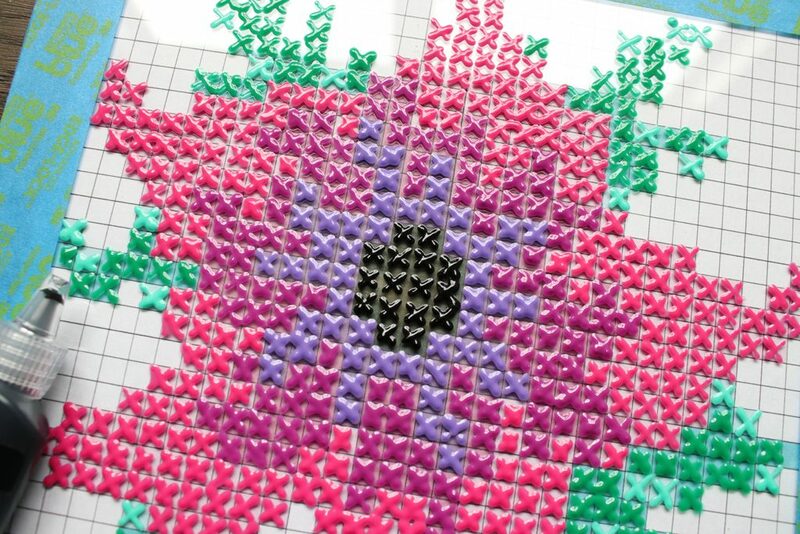 Flip it over and lay your cross stitch pattern face down centered in the opening. Use painter’s tape to secure this pattern in place. Flip the glass back over. Choose one color and fill in all the squares with that color. If you’re a righty go left to right, but if you’re a lefty go right to left so you do not smear your X’s. 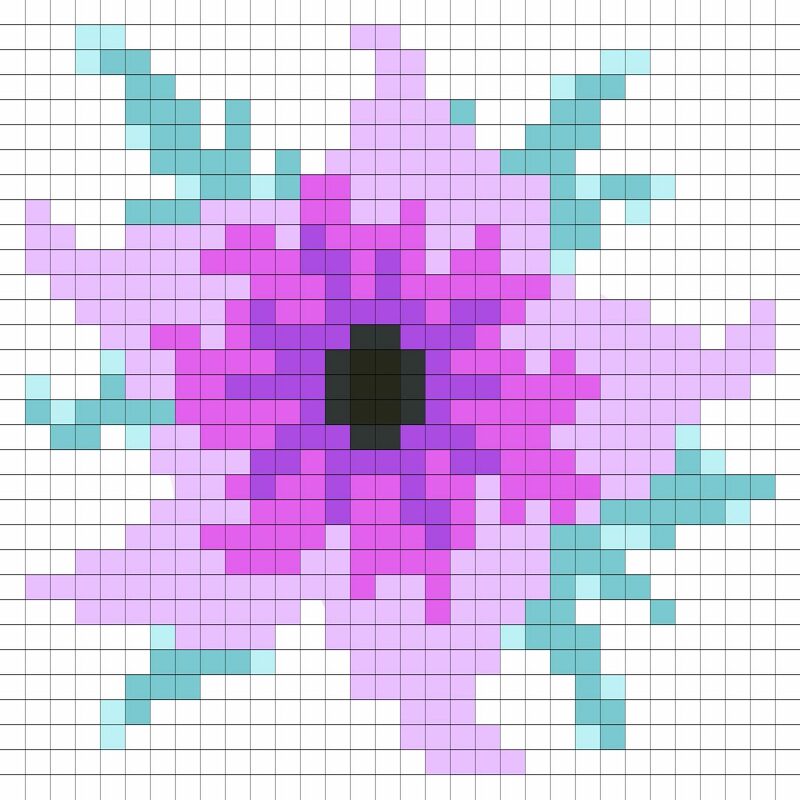 The design looks most like a cross stitch look if they X’s don’t fully touch but are simply spaced next to one another. When starting a new color, first flip the bottle over and begin to squirt it on a small scrap paper before drawing your X on the glass. This helps stop any air bubbles that are in the bottle from splattering on your glass. 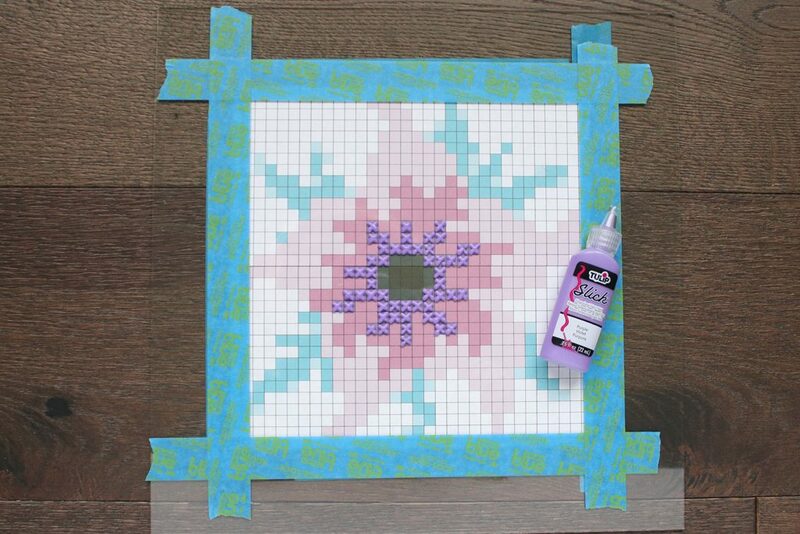 Just like in regular cross stitch, make sure to complete this project in good light and take breaks if your eyes are getting a little overwhelmed from staring at the pattern too hard. If you make a mistake, no worries. You can peel the paint off the glass in that spot AFTER it fully dries! Allow your pattern to dry completely before trying to move or work with it. We suggest overnight! 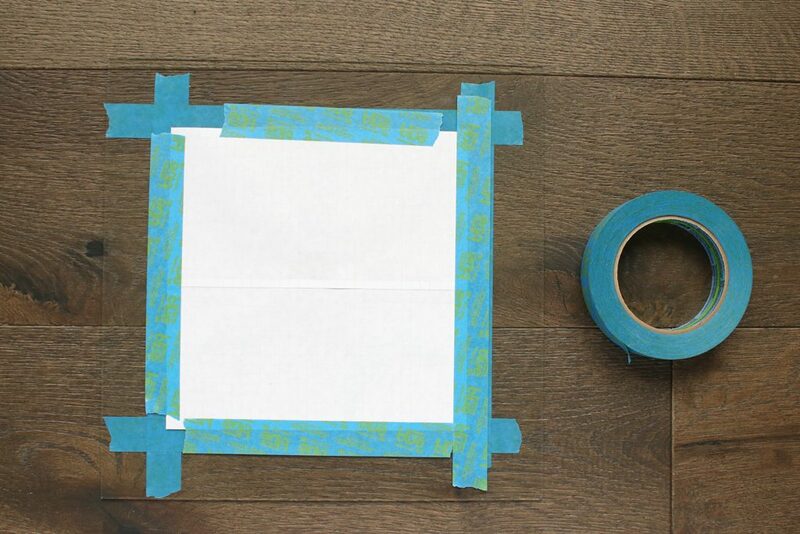 Once your pattern has dried, remove all the painter’s tape on both sides and insert back into the frame. Place a solid piece of paper behind the pattern and it will be ready to be gifted for your #1 mom! If you’re looking for more ways to spoil the moms in your life, here’s an adorable idea for a Mother’s Day Brunch or a DIY Succulent Dreamcatcher Wreath for the special day. Don’t forget to follow us on Facebook, Twitter, and Instagram! 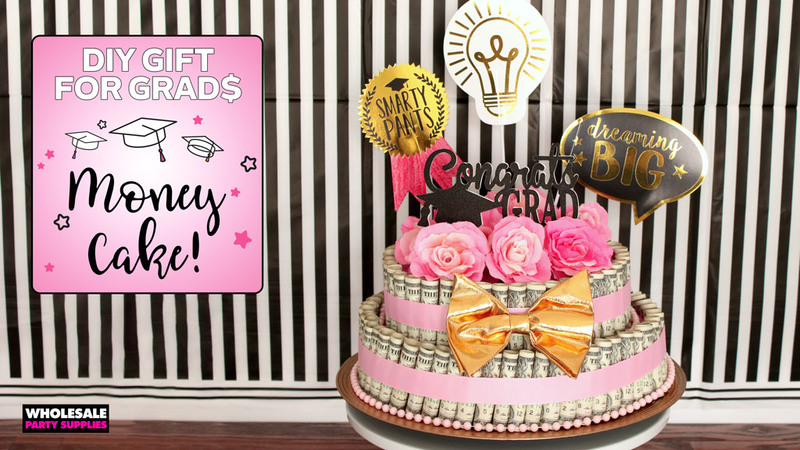 Check out all of the fun party ideas and DIYs we’ve been saving on Pinterest too!